While the transfer market may not open until July, deals can be agreed and players can be signed at any time, just they cannot play for their new club until the following registration window opens. 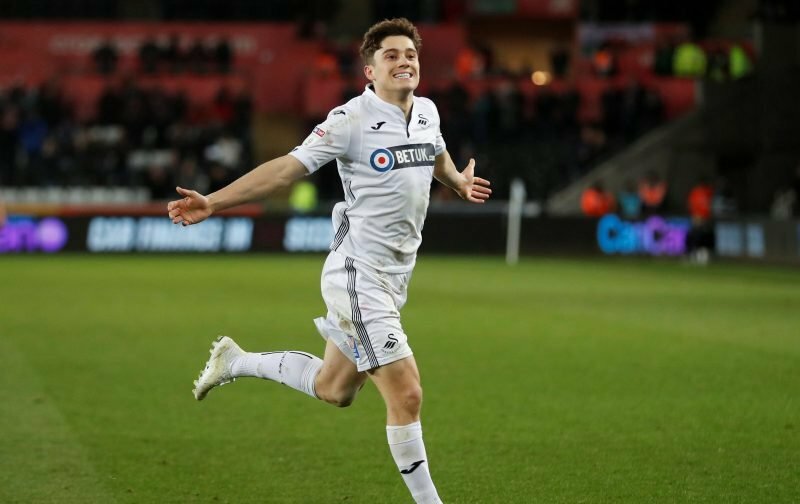 Former Leeds ace turned BBC pundit Noel Whelan, in an interview with Football Insider, certainly thinks this is the case when it comes to Swansea’s Daniel James, as he has suggested Victor Orta may have struck a deal with the Liberty Stadium natives “in the back room”. Whelan is not claiming the player will certainly be a Whites ace come our centenary campaign but has hinted that the groundwork on a deal may already be complete so that we finally add Marcelo Bielsa’s number one winter target to our ranks. “This deal should have been done apart from the U-turn at the last minute from Swansea, which was a little bit naughty on their part, to be quite honest with you, because it doesn’t just affect the club, it affects the player,” Whelan told Football Insider. “He’s been very professional to go back under those circumstances, because the young man will be massively disappointed that’s not got over the line and [he would have] been excited about signing for Leeds United, and having that promotion push. “It shows great character to go back, still play, give 100 percent, so you know you’re getting a good human being if they do go back to wanting to buy him, but yeah, that will only materialise if Leeds are in the Premier League. “He’s such a good player, loads of people looking at him – Premier League clubs – so if they’ve got anything, a deal kind of done, in the back room that we don’t know about because of the U-turn, that says ‘look, if you do get into the Premier League, we’re willing to sell him at the end of the season to you’ then that’s great, we’d be getting a fantastic player. The deal we had reached with Swansea in the winter, before they pulled the plug, would have seen Orta sanction a £1.5million initial loan fee, which would have gone towards an overall £10m move should we secure promotion. Since then, interest in James has grown exponentially, and Southampton could be our biggest rival, as they have reportedly become eager to beat us to his signature having lost out in the race for Motherwell’s Stuart McKinstry.